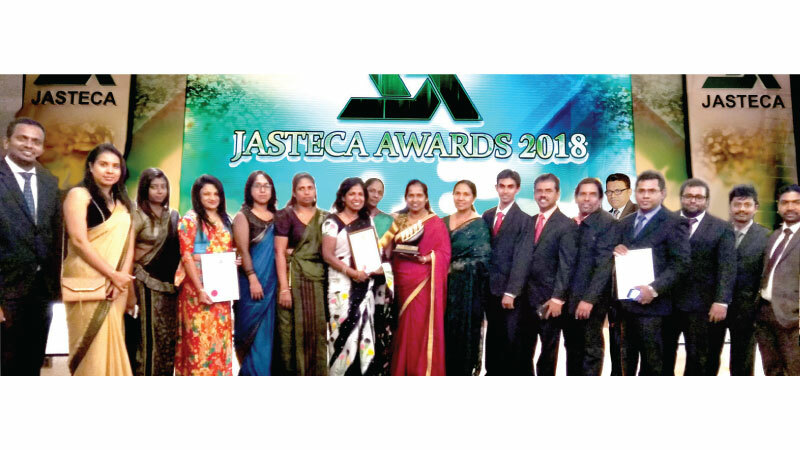 Sri Lanka Telecom (SLT), the national ICT solutions provider won six awards at the prestigious JASTECA awards 2018. Regional Telecom office – Rathmalana won a merit award - ‘Taiki Akimoto 5S Awards” and the company’s CSR project “160 year project supporting Sri Lankans wellbeing” won another merit award – “CSR sustainability Awards 2018” category. Certificates of Compliance were awarded to SLT Regional Offices Havelock town, Maradana, Kotte & teleshop Slave Island . This Awards ceremony was conducted for the 23rd consecutive year.